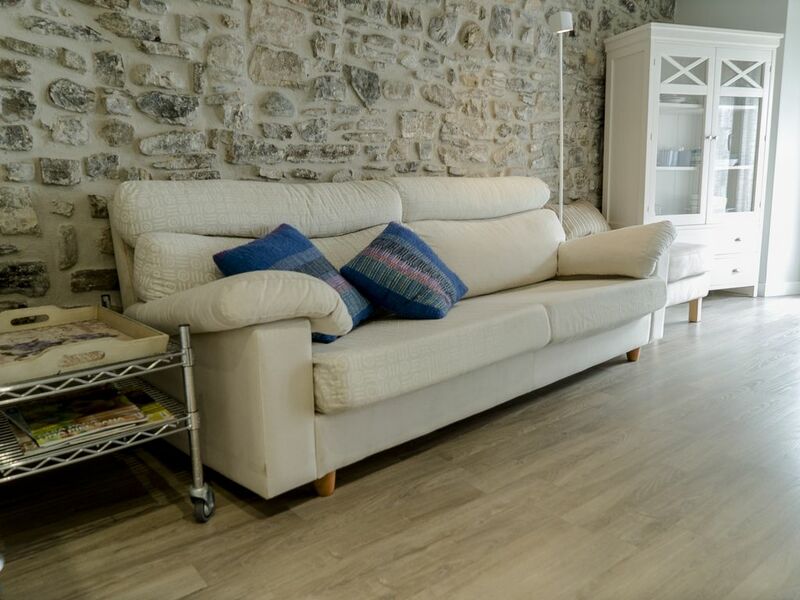 Apartment-Studio located in the old town of Mutriku, completely renovated, with a parking space. The accommodation has a kitchen equipped with ceramic hob, oven, fridge-freezer, microwave, dishwasher and washing machine. Mutriku stands out for its natural environment, the beach and its two natural pools, which are a 10-minute walk away. It also has beaches such as Saturrarán (3 km) and Deba (5 km) in its vicinity. Mutriku is located between San Sebastian and Bilbao, with towns such as Zarautz, Getaria and Lekeitio less than ½ hour away. To visit also the estuary of the Urdaibai declared by the UNESCO biosphere reserve. Merci pour vos commentaires et sympathy, un plaisir vous avoir eu. Los precios para temporada baja consultar.